Things are heating up down under in the war for bricks and mortar payments at the point of sale. And it appears banks are increasingly more than happy to sit behind the scenes and let start-ups pull the punches. This week Westpac, one of Australia’s Big 4 banks, announced it had taken an equity stake in startup Assembly Payments. The funding will be used to build integration software and services that allow Westpac payment terminals to communicate directly with point-of-sale (POS) software. The move positions Westpac and Assembly Payments squarely against independent fintech bank Tyro, which has dominated the SME integrated payments at POS market in Australia years, and to date has processed over $40B in transactions. While a cynic might liken this tactical banking play akin to aristocratic British generals sending in their foot soldiers in to man the fintech front line, the idealist, or perhaps these days more likely the realist, probably understands this is the nature of the payments battle going forward. For years banks have failed to win over the POS market, be that from poor technology offerings, lacklustre relationship management and woeful integration support once the technology is in place. 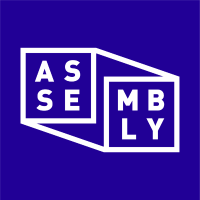 Banking survival means there is now no choice but to shift tactics to supporting fintech’s that can, like Assembly. And if SMEs benefit, either through lower costs, or better technology that increases efficiencies, then everyone wins. At an arms-length, the Assembly deal also offers Westpac some anonymity, which in the face of Australia’s current Royal Commission into Misconduct in the Banking, Superannuation and Financial Services Industry, could be just what the doctor ordered. The commission has already exposed the public to issues like liar loans and weak consumer lending practices. As the inquiry rolls on, the punters are bracing for more bad news. No bank is going to emerge from this one squeaky clean, and what better opportunity for an Assembly, or a Tyro, to capitalise on this. Whatever the case, bank sponsored fintech is on the rise down under. And for a small fintech businesses, who better to borrow from then someone who’s been there and done it before, and is all the more wiser for it? Daily Fintech Advisers provides strategic consulting to organizations with business and investment interests in Fintech. Jessica Ellerm is a thought leader specializing in Small Business and the Gig Economy. In the interests of full disclosure, the author is a longstanding Tyro shareholder, and like most Australians, holds Westpac shares through her superannuation fund. Previous Crypto is the emerging bottom-up illusion. Thank you Smart Valor.